Join our Advanced Eco Certified one day Shark Cage Diving Tour! 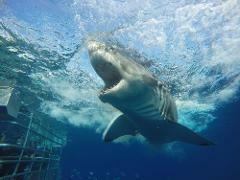 A full days charter to Neptune Islands Marine Park and cage dive with Great White Sharks. Price includes $37 Visitor Use Fee. 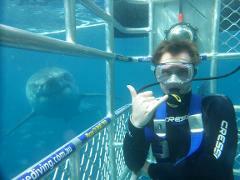 During December & January a Twilight shark cage diving tour is available. Boarding time 1.15pm & all diving is conducted during daylight hours and enjoy a twilight cruise home. Price includes $37 Visitor Use Fee. 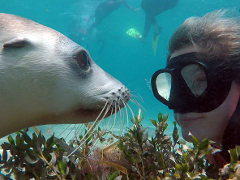 Join our Advanced Eco Certified tour for a fun filled visit to view the cute, playful & mesmerising Australian Sea Lions and view their amazing performance. It's adventure, education and a whole lot of fun!